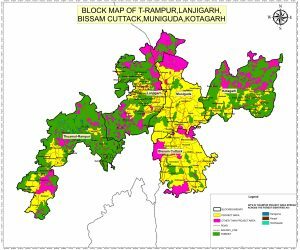 Livolink Foundation is implementing the Tata Trusts supported project that focuses on GIS based mapping of interventions in project villages under the South Odisha initiative. The project titled “Implementation of GIS Lab” supported by the Sir Dorabji Tata Trust is spread across a grant period of three years till 2018. The objective is to develop a database of all the villages at house hold level through baseline surveys by capturing data pertaining to land details, socio-demographic profile indicators like health, education, agriculture, occupation, quality of life etc. The project covers IOS and Tab based survey of land use, land details, animal husbandry, irrigation, water and natural resources, house-hold information and village level detail aimed towards developing database, representation and comparison of data.